Animation / Artwork: Deep in the Heart by Kelly Dietrich. Music: “Snowfall” by Scott Buckley. Mandala Meditations are mandala animations set to music that can be used as a means of relaxing your body and your mind. These meditations are created with the belief that it only takes a few moments to consciously quiet your mind, relax your body, and begin reaping the benefits of meditation: being less bothered by stress, having greater mental clarity and focus, living more fully in the present, and more. 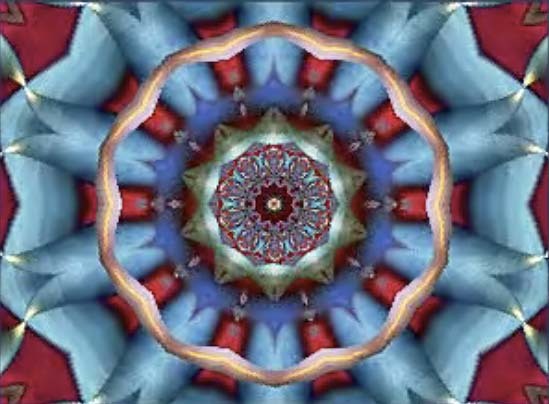 These animated, fractal kaleidoscope - like videos are perfect for all ages and levels of practice — from children, to beginners, to more advanced practitioners. For those with little meditation experience, these visual meditations can provide an easier segue into a meditation practice, as they are perhaps not as daunting as sitting in a silent room with your eyes closed wondering if you are "doing it the right way." 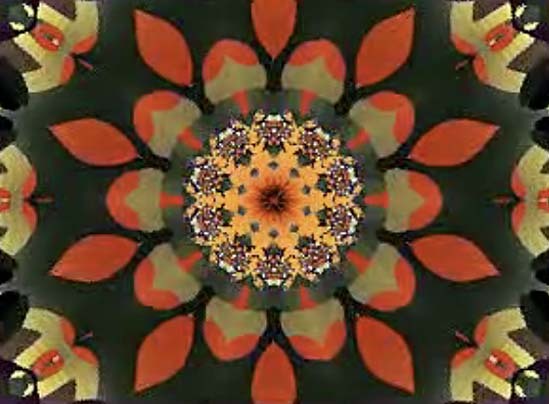 Sit down, relax, and allow yourself to fall into the kaleidoscope. Music: "Witnessing Infinity" from the Infinite Octaves album by Andrew Forrest. Used with his kind permission. This looping mandala video that does not include music is a wonderful way to get a longer, uninterrupted meditation. Watch for as long as you like in silence or with a music selection of your own choosing. I've created all new animations set to music, and they’re available as the Mandala Meditations App.This universal app is currently available for the Apple TV 4, the iPhone, iPod, and the iPad. Please visit my Mandala Meditations app page to find out more about it. I originally began creating these animations in Flash in the early 2000s. Then in 2006 - 2007, I started publishing my Mandala Meditations video podcast on iTunes. There are currently more than 30 one minute meditations in the archive on iTunes, which you may view by visiting and subscribing to my podcast: Mandala Meditations. *Please note that these original animations were created when iPods first came out - screen size and resolution were both quite low.